Share your way to success. Want to know a super secret way to be successful? How about a not so secrete way? How about a way that is so obvious it seems too simple to be true? Ok, here it is… if you want to be successful; share. Share your way to success. Step One! Don’t not jump in and throw your money at anything, keep it in your pocket until you get to the end. Share your way to success, but do not share your wealth just yet. Please read all the way through this, take this one step at a time. Step One. Keep your money in your pocket. Ok, this is supposed to be share your way to success, and the first thing I tell you to do is keep your money in your pocket. So what do you share? That leads us to Step Two, Share your dreams. It is ok to tell people your dreams, but keep your money in your pocket. Why do I tell you this, because I do not want you to get taken advantage of, I want you to learn who has similar dreams to your dream. Do not fall victim to a scam by declaring your dream and then parting with your money. Just declare and share your dream. Now some people may laugh at you, some people may ignore you and some people may praise you; the real question is who will help you? Who will give you sound advice? Who will practice with you? Who will introduce you to people who can help you? Step One: keep your money in your pocket. Step Two: share your dream and find out who will actually help you get in touch with people who can really help you. Step Three: Once you know who you can trust with your dreams, Share your ideas. Again, keep your money in your pocket. Know if people will not help you with the very basics, getting you in touch with people who can help you chase your dream, they do not need to know your ideas. Do not be afraid of stating you dreams to everyone, but only tell your ideas to people you can trust. How do you know if you can trust someone? Deep down inside there is a little voice that tells you when things seem right and things seem wrong. This little voice should also tell you when you are trying to force things and when things seem too good to be true. Trust takes time, do not rush into trusting people with your ideas; make sure they are who they say they are before you trust them. If people say they will help you and they follow through, trust them with a little more information; but again keep your money in your pocket! Now, as you learn more and more about the people who are helping you chase your dream, you will notice they have a similar dream or will fit into your dream based on some kind of common ground. It is OK for people who trust each other and have similar dreams to work together. It is not ok to be taken advantage of by scam artists. So, again keep your money in your pocket and follow up on your plans. Now you will notice there are three kinds of people in the world, givers, takers and give & takers. Life is give and take. Success is give and take. Do not surround your self with givers or takers. Givers can be victims; takers are just that they take. People who understand give & take understand how important it is to work together. Share your ideas with people who will work with you, not just take from you or play the victim. Share your ideas with people who will work with you and once again, keep your money in your pocket. Step One: Keep your money in your pocket. Step Two: Share your Dreams and find out who you can trust, but keep your money in your pocket. Step Three: Share your ideas with people you can trust, but remember to keep your money in your pocket. Step Four: Share your time and learn to work together without throwing a bunch of money at your idea. Now do you see why I continued to say keep your money in your pocket? Find people who will work together before money is on the line. Listen money changes everything, sometimes for the better and sometimes for the worse. Learn to work together and work out your ideas before the money starts going out or coming in. Work out all the details before people start putting money on the table. Learn who you can trust and learn who you can work with as a team! Step Five: Agree on how to divide up the money before you put any money in and before you start making any money. Again, money changes everything, so it is better to have a detailed plan on what to do about and with the money before it starts flowing in and out of your pocket. No one wants to invest in a scam. No one likes getting taken advantage of be a scam artist. Take your time. Share your dreams, your ideas and you time with your team and find out who you can trust. Work out the details on how the money is going to work. Make sure there is balance when the money begins to flow. Are you equal partners? Do everything you can to make things fair and equal for everyone. Surround yourself with people who think and act the same. Step Six: Share the wealth. When you start making money; share it with those people who have helped you along the way. Listen, no one get’s there alone, and no one gets anywhere by taking advantage of people. So set a great example for others to follow. Once you have a strong team around you and you start reaching your goals, share the wealth. Don’t throw you money in too early, but don’t be stingy when things start to work. Be the person who everyone wants to do business with and people will work hard for you. Share you way to success. Remember you can not and should not throw your money in early. Share your Dreams and find out who will help you and who you can trust. Share your ideas with people who actually help you. Remember keep your money in you pocket and listen to that inner voice. Do not chase wild ideas or things that seem too good to be true. Get the facts. Share your time and learn to work together as a team before you take any money out of your pocket. You will thank me one day. Work out the details of how to split up the money before the money flows in or out. When the money starts to flow, share the wealth with those who have earned it. It is great to set something aside for charity and random acts of kindness, but you are trying to build something. Work out the money details and then share with those who are putting in the time and effort. Money changes everything: Cyndi Lauper sang this song in the 1980’s. I tell people they should do what they love and then figure out the money part. You still have to figure out the money part. I have found myself watching what I would like to call my “Greed” movies. I want to be able to do great things one day, hopefully one day soon without getting greedy. 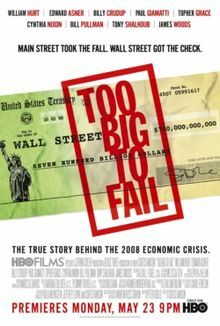 I watch these movies as a warning of how terribly wrong things can go when greed goes unchecked. 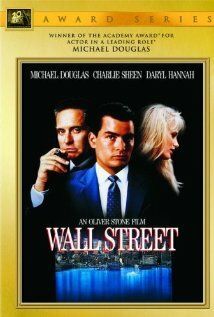 Wall Street: The classic 1980’s movie about money and power and greed. 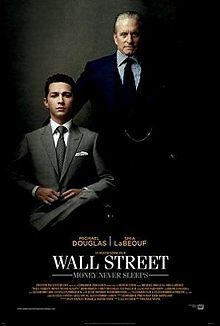 How many people ran around saying “Greed is Good” because of this movie? Well greed left unchecked is not so good. So how do you become successful without becoming greedy? I guess this is why I am watching these movies, so I can know exactly what to watch out for, or a least know the stereotypes. 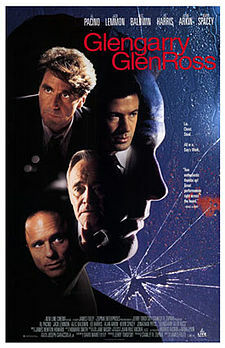 Glengarry Glen Ross: A film from the 1990’s based on a play from the 1960’s. Real Estate deals and Greed running wild, it looks like greed plays in any decade. So I take away it is not good to set up winner take all systems. Maybe we should work a little harder to share the wealth? Boiler Room: Welcome to the year 2000 and our old enemy greed is still at play. What happens when a bunch of fans of the movie “Wall Street” set up a company pushing fake stocks and bonds? The Joneses: The year is now 2009 and what if we were all being duped into trying to keep up with a Fictional Family that is being paid to Stealth Market us products we can afford? Wall Street – Money Never Sleeps: Can people get over their greed? Can they be redeemed? Is there hope for us all? Against the backdrop chronicled in “Too Big To Fail” we find a man even greedier than “Gordon Gekko.” We also learn that greed never sleeps, so how can we do something great and still sleep at night? 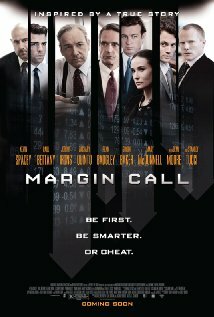 Margin Call: A 2011 Film that creates a Fictional Nameless Day in the life of the company that started the market Turmoil that rings so true in “Too Big To Fail.” Is there a moral to the story? Is there in answer in all of this? I certain hope so. Greed is not a victim less crime. If you take the time to watch any or all of these movies, I can only hand you one piece of advice. Greed will slowly sneak up on you. It will slowly try to convince you that it is OK to have way, way, way more than you need. Now, I am telling you to try to do something good, try to do something great. Try to leave a lasting legacy. I am not asking you to take a vow of poverty, but I am asking you to watch out for greed. Do not be motivated by the wealth that you can hoard, be motivated by the good that you can do if you share the wealth and create the best possible system for everyone involved. Can we do something great and still share the wealth? I am honestly trying with all my might.